Federal Government Shutdown & Violence Against Women Act: What Does it Mean for Domestic Violence Programs in Louisiana? Did the Violence Against Women Act (VAWA) expire with the government shutdown? What does that mean for the protections and programs in the law? Yes, it did expire. VAWA was not reauthorized prior to the shutdown, and many VAWA-funded programs are included in the shutdown. However, reauthorization and appropriations (funding) are two separate things. When a spending bill is eventually passed, appropriations to VAWA will likely be included, with or without reauthorization. In addition, the existing protections enshrined in VAWA continue to exist despite its expiration. When it comes to VAWA reauthorization, it is more important to do it right than to do it quickly. We urge Congress to pass a Violence Against Women Reauthorization Act that provides critical enhancements and improvements to the law. The government shutdown, not the lack of VAWA reauthorization, is the most significant and urgent threat to domestic violence services. Notice is hereby given of the availability of federal funds through the Office of Violence Against Women (OVW), housed in the U.S. Department of Justice, OJP. The Louisiana Commission on Law Enforcement (LCLE) administers and allocates these funds through the Louisiana Coalition Against Domestic Violence. The total amount available to the domestic violence programs is $282,270. submitting proposals may be obtained from the LCLE website (www.lcle.la.gov). The deadline for submitting is: December 21, 2018. Proposals will be considered for approval at the March meeting. Representatives of agencies under consideration will be required to attend this meeting in order to receive funding. Baton Rouge, LA – The Washington, D.C. based Violence Policy Center has issued its annual report on female murder victims, and it shows a troubling trend in Louisiana. The report, When Men Murder Women: An Analysis of Homicide Data, reviews female victims killed by male offenders in single victim/single offender incidents and ranks all states from highest rates to lowest. The 2018 report, which analyzed homicides committed in 2016, was released this week. Louisiana ranks 2nd in the nation, up from 3rd the year before. The report also reveals that Louisiana’s rate of women murdered by men has increased steadily for the past five consecutive years, with the most recent rate being 2.42 homicides per 100,000 females. Of the women killed by men in Louisiana in 2016, 69% were killed with firearms. Advocates are hopeful that recently enacted legislation requiring the transfer of firearms from convicted abusers and those with qualifying protection orders will have an impact on these numbers. Senate Bill 231 of the 2018 regular legislative session requires sheriffs to oversee a process of transferring firearms from those legally unable to possess them. The Louisiana Coalition Against Domestic Violence (LCADV) applauded last week’s final passage of several bills expanding domestic violence protections in Louisiana. SB 231 by Senator J.P. Morrell and HB 207 by Representative Larry Bagley are among the bills that cleared their final legislative hurdles in the last week of the 2018 regular legislative session, sending each to the Governor’s desk. Baton Rouge, LA – May 7, 2018 – Advocates from across Louisiana will gather at the State Capitol at 9:00 a.m. on Wednesday, May 9th, to encourage legislators to support laws designed to strengthen protections for domestic violence and sexual assault survivors. This is the seventh annual Day at the Capitol, hosted by the Louisiana Coalition Against Domestic Violence (LCADV) and the Louisiana Foundation Against Sexual Assault (LaFASA). LCADV and LaFASA will have a display table in the Rotunda of the Louisiana State Capitol building from 9:00 a.m. to 4:00 p.m. Advocates and supporters will be speaking with legislators throughout the day to discuss domestic and sexual violence in Louisiana and how legislation can affect programs, advocates, and survivors. The Louisiana Coalition Against Domestic Violence (LCADV) has been heavily involved in efforts to pass several bills expanding protections for victims of violence across Louisiana. That package of bills includes SB 231 by Senator J.P. Morrell (D-New Orleans), which creates a statewide process for transferring firearms from domestic violence offenders, and HB 207 by Representative Larry Bagley (R-Stonewall), which requires proof of service of protective orders to be transmitted to the Louisiana Protective Order Registry. For more information on these events, visit http://www.lcadv.org. 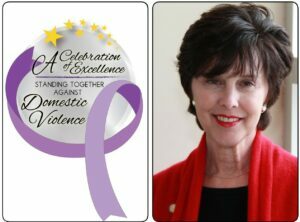 The Louisiana Coalition Against Domestic Violence (LCADV) is a statewide network of programs, organizations, and individuals who share the goal of ending domestic violence in Louisiana. LCADV is dedicated to bringing about change in our institutions, laws, politics, attitudes, and beliefs which will allow individuals to live free of violence. For more information, visit www.lcadv.org. Baton Rouge, LA – On Tuesday, the Senate passed legislation creating a process for the transfer or relinquishment of firearms from domestic abusers. The Louisiana Coalition Against Domestic Violence (LCADV), applauded the Senate’s passage of SB 231 by Senator J.P. Morrell, citing its potential to reduce domestic violence homicides in Louisiana. According to research by the Washington, D.C. based Violence Policy Center, Louisiana ranks third in the nation for the rate of female victims killed by male offenders in single victim/single offender incidents. Advocates say this legislation could lead to reduced homicides by creating a mechanism for removing firearms from those already prohibited by law from possessing them. Mariah Wineski, executive director of LCADV, says the lack of an enforcement procedure thus far has resulted in easy firearm access for abusers. “State and federal law prohibit many abusers from possessing firearms. Currently, our state lacks any consistent process for actually implementing these prohibitions. This means many people convicted of domestic abuse battery – and therefore prohibited from possessing a firearm – nonetheless retain access to their guns.” This bill seeks to close that gap by requiring sheriffs to facilitate the sale, donation, or lawful transfer of firearms from convicted abusers and those subject to a protective order. In 2017, 73% of domestic violence homicides in Louisiana were committed with firearms. “This legislation bridges the gap between existing domestic violence laws and their meaningful implementation,” said Wineski. “At the end of the day, this is bill is about enforcing existing laws designed to protect the lives of domestic violence victims. We look forward to working with the legislature to secure the full passage of this lifesaving measure.” The bill now moves to the House of Representatives.